Finding a quality jack that has a high enough max height for a lifted 4Runner can be tricky. After a fair amount of research, I found the Sunex 6602LP 2-Ton Jack. It lifts more than high enough to lift any moderately lifted 4Runner and I have been very impressed with the quality. Almost anytime you are using a jack, you should be using jack stands. 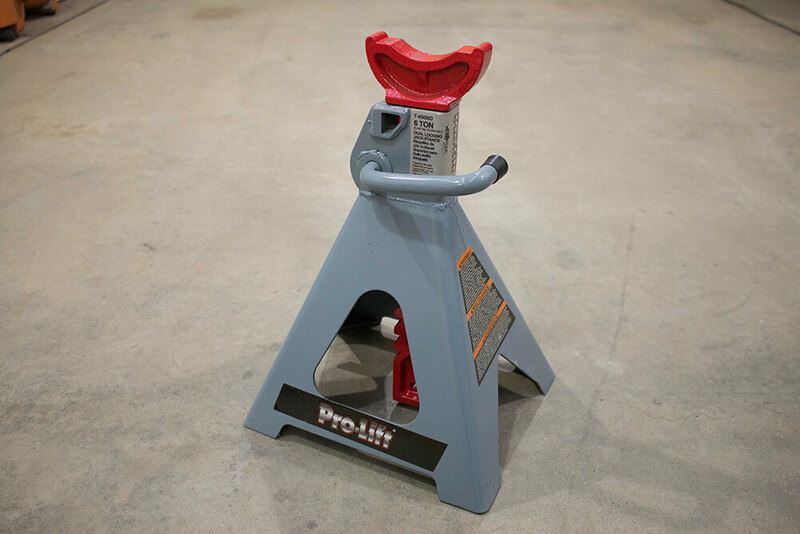 The Pro-LifT T-6906D 6-ton jack stands are a great choice. 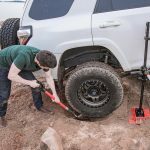 3-ton jack stands may be cheaper and technically able to support the weight of the 4Runner, but they will have a much smaller footprint, making them much more susceptible to tipping over. Lifting all four wheels off the ground can bring some pucker factor even with 6-ton jack stands, so I would defiantly not recommend trying it with 3-ton stands. 3-ton stands also may not have the required height to support the vehicle as high as you need. 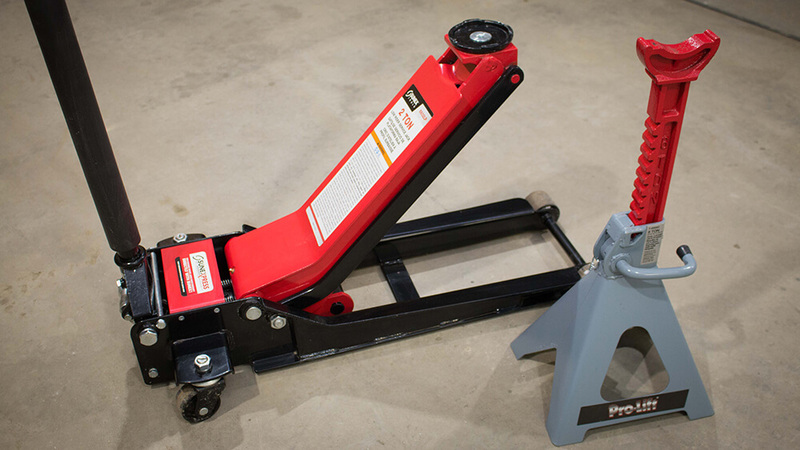 This 2-Ton jack makes a great choice for an at home shop. Some may say you need a 3-Ton jack for a 4runner, but I’ve found no problems lifting the 4runner with this 2-ton jack. At 4,000 lbs of capacity that is almost the full weight of the 4runner when you should only be lifting half the weight at a time. 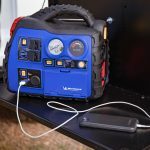 At almost 100 pounds this is not something you will be bringing on the trail, but it is perfect for the at home shop. 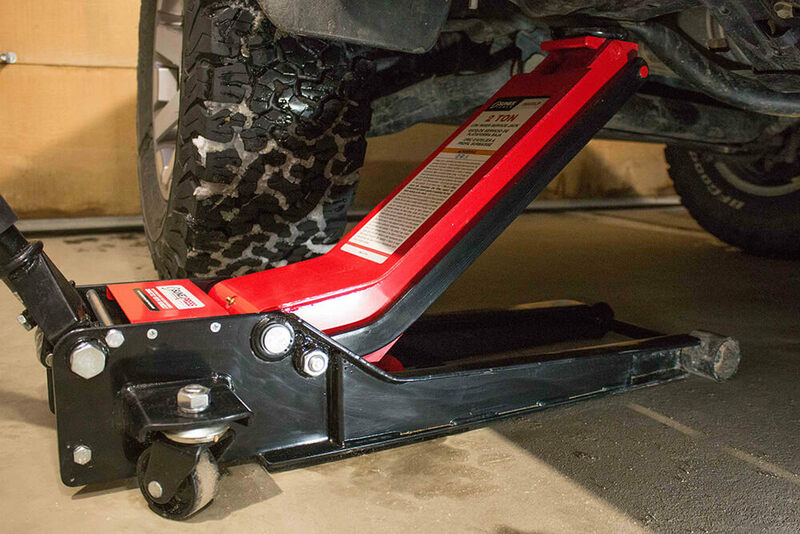 At about half the weight, the Pro Eagle Off Road jacks would be a better choice for off-road use, but you are paying a premium for those. It features a very large range of lifting height. Although I didn’t buy it for the low minimum height, you can also use it on a lowered sports car instead of just SUV’s or trucks. 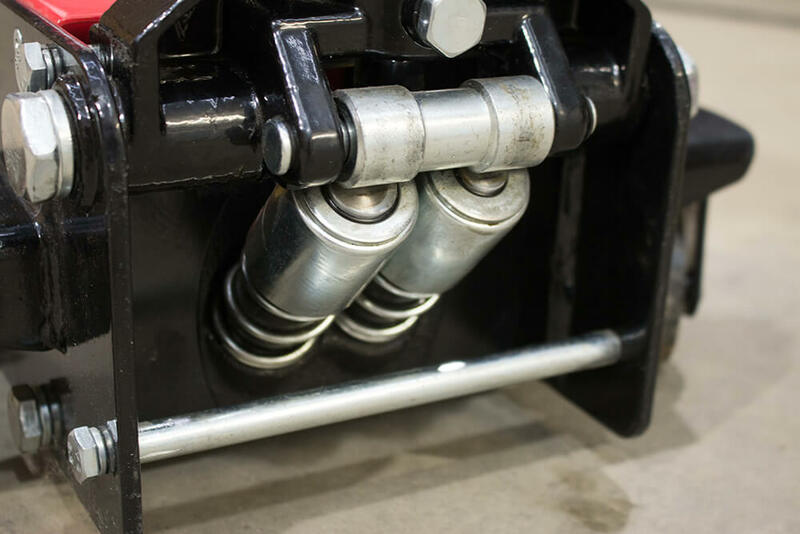 It also has a very long throw (18”), aka length of the arm, so you can reach far under the vehicle to find the best jacking point or for lifting heavy parts into place like steel skid plates under the center of the vehicle. With dual pumping pistons, the jack can get up to the desired height quickly. The max height can be reached in just 6.5 pumps with no load on the jack. Once the jack contacts the vehicle the lift rate per pump is reduced so that it does not become too difficult to lift the car. I measured the lift to start at exactly the 2.75” advertised minimum lift. I don’t plan on needing this low of a height, but it is very useful if you also own a sports car or help friends with work on their lower cars. 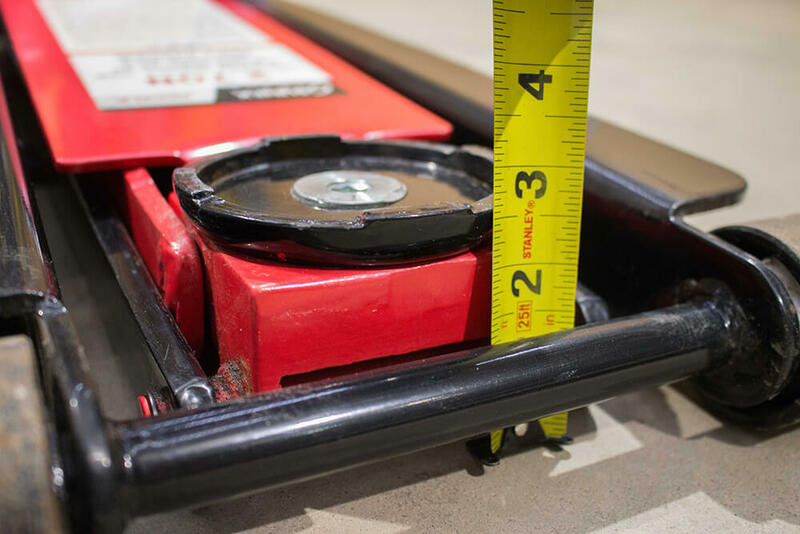 The jack also stays below the 2.75” height for the full length of the 18” throw, while with other jacks the height can quickly ramp up, preventing you from reaching far under the car. Now for the one of the most important specs, the max lift height. Most of the jacks I saw while researching a jack maxed out at below 19”. With a 3” lift this could be too low and prevent you from being able to get the vehicle high enough to remove the wheels. 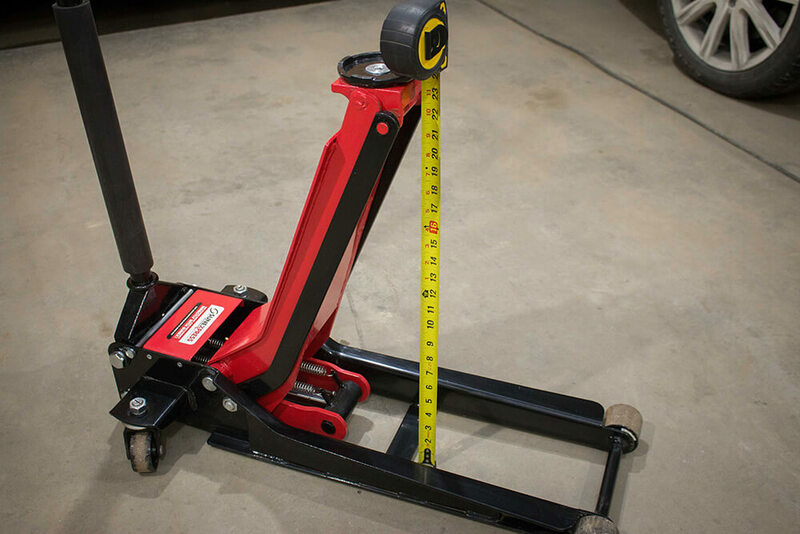 Also, even if a jack has a sufficient max height to remove the wheels, you want to be able to lift at least as high as the max height of your jack stands so that you can get the vehicle as high as possible while working under it. I measured the height to be at exactly the advertised 24”. This should be more than sufficient for a 3” lift. These stands are affordable at about $80 for four and feel very hefty. With a total capacity of 24,000 lbs for four, the weight capacity is over 5 times the curb weight of a 5th gen 4runner. At the time of this review I could not find a reviewer that had a stand fail. However, it is critical that you use the stands on a solid surface. Just like any jack stand, if you use these on a surface like gravel you risk them not being stable under load. With a maximum height of 23.5”, these pair nicely with the Sunex jack. 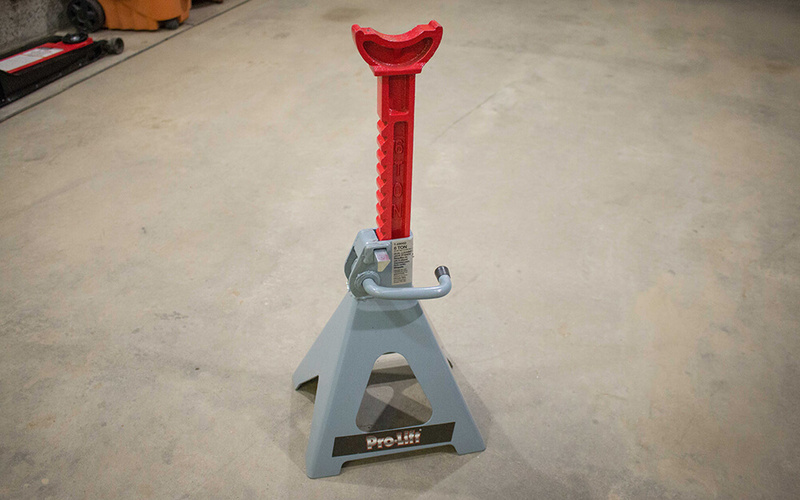 Since the Sunex jack can reach 24” you can use the full capacity of these stands. These stands feature a locking pin. This gives two benefits. For one, it makes it even more unlikely that these can fail. If you were somehow able to hit the handle with enough upward force it is possible that the stand could collapse under load. With these pins in place that becomes virtually impossible. 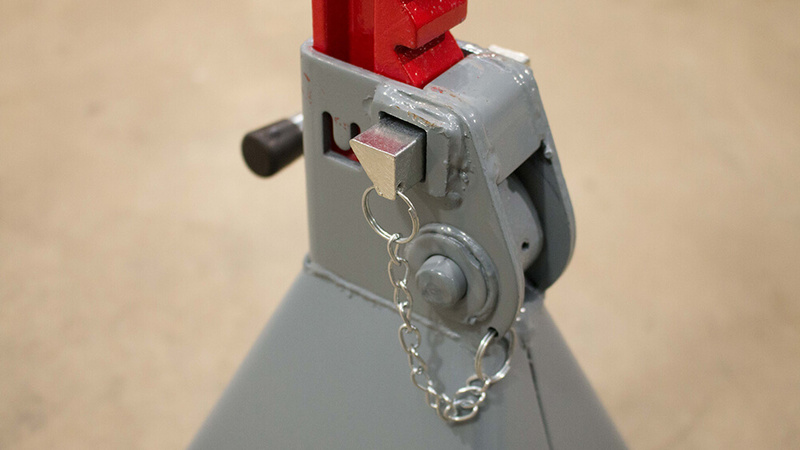 The pins also allow you to lift the jack from the top and not have the whole top assembly lift out. This is handy for moving the jacks around. My name is Bryson and I am new to off-roading, but not new to making lots of modifications to my cars. Owner of a 2015 Trail edition deep in the Rockies of Colorado, some of my passions are camping, backpacking, and photography.